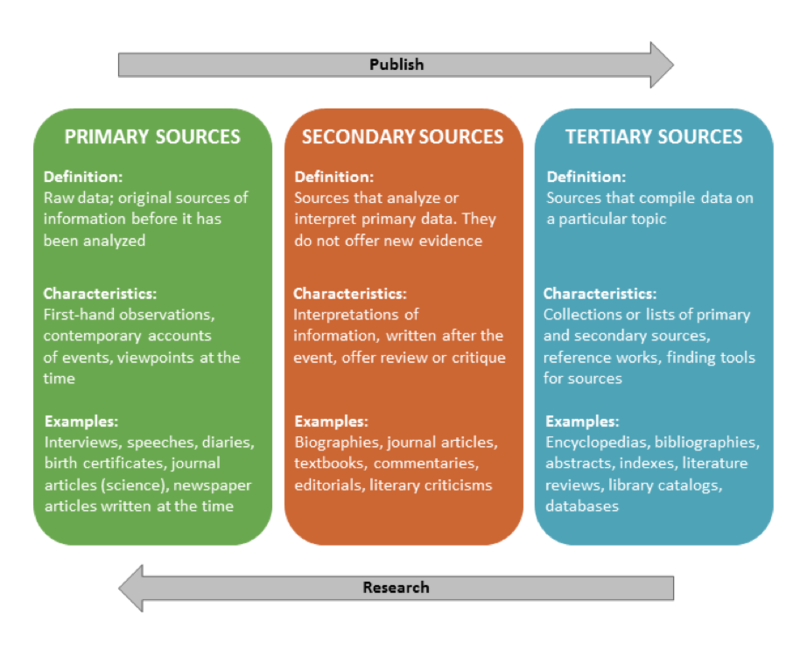 Learn how to evaluate a resource for your research. UC San Diego, “Primary, Secondary & Tertiary Sources.” MCWP 50 & MCWP 125: Primary, Secondary & Tertiary Sources Research Guide, ucsd.libguides.com/MCWP/sources. Accessed 20 Nov. 2018.